The Rugby Welsh RFC Site Welcomes You! This web site is under ongoing development and if you have any feedback or development suggestions then please let us know via the Message Board. If you are a visitor to the site and fancy a game then please get in contact with one of our Committee Members (you don’t even have to be Welsh!!). Founded in 1936 ‘The Welsh Club’ started life as Rugby St Andrews Welsh XV. At that time significant numbers of young men had resettled to Rugby from Wales to find work in the engineering industry that had flourished in the town. After the 2nd world war and a period of closure, The Welsh Club was resurrected and established as Rugby Welsh RFC. A plot of land was acquired and a club house built in Bakehouse Lane that served as a base for the social side of the club with Rugby being played at various locations in the town including the current home ground at Alywn Road. Through the sixties, seventies and eighties the club grew to be running four senior sides and colts. A period of decline in the late nineties was a consequence of lacking facilities with the club being reduced to only one side. Over the last two seasons the Rugby at the club has seen quite a remarkable resurrection and the current team have been achieving great results against a changing and increasingly impressive fixture list. Having let the clubhouse for alternative use and relocated to the George at Bilton this year, the club has grown in strength both on and off the field. We are looking forward to being able to introduce a second team whilst building on the non-playing following that has been a strong aspect of the club over the years. This website is currently under development and will become a source of communication with members past and present, an archive of club memorabilia including a photo gallery and other historical data and, of course, a means to promote and help maintain the growth the club currently enjoys. As a last word, it is important to recognise the hard work and dedication of the players and officers of the club over the years and in the present day. These are the people that have been responsible for establishing, developing and holding the club together in the past and ensuring it’s revival now and for the future. 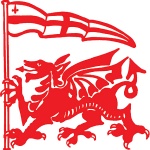 We welcome everyone to the Rugby Welsh Club as players or social members past, present or future. How to reach us. We don’t want to spoil the game through betting on it so view our ranking of casinos at internetcasinosites.org and play on one of them. Rugby Welsh hosted a District side for the annual Pat O’Neil memorial match at Alwyn Road on Easter Monday. Despite the cold conditions a good sized crowd were there in what turned out to be an entertaining game of rugby. Welsh started very well with the forwards driving to good effect and came close to scoring in the opening five minutes. However strong defence from Vinny Ogg and Mark Brightwell enabled District prop Chaplow to take a quick penalty from his own line and fed his winger who raced in for an unconverted try. Soon after the District side went further ahead when their pacy backs scored an excellent try from quick ball produced from the pack. Welsh responded well and started to win some good possession with Rob Haddock and Clive Rattenbury making inroads into the District defence. This enabled Phil Day to break several tackles and race over under the posts for Wade to convert. The District side then extended their lead when more good work from their pack enabled the quick backs to run in another try. Welsh then produced some good attacking play after the forwards produced good ball and Tom Neville sent fullback Jason Reynolds over to make the score 15-12 at half-time. Welsh took the lead immediately after half-time when Rob Haddock crashed over near the post which Daz Wade converted. However the District side responded well with Todd and Eddie Allen impressing in loose play. This enabled them to add two more tries and soon after Brightwell broke through the tired Welsh defence for a converted try. Welsh again responded with good work from Womble and Jim Gurling. This allowed Rattenbury to make a good run into the District 22, and from the resulting penalty Jamie Cranham took a quick tap to score under the posts which Wade converted to make the final score 37-26. Rugby Welsh would like to thank all players and supporters who turned out to make the day thoroughly enjoyable. Welsh are back in action on Saturday at Alwyn Road at 3pm against Coventry Saracens. All players, parents and anyone associated with the club must respect our code of conduct. It is essential to ensure smooth running of the club and a healthy, friendly environment at match time. There’s a strict anti-gambling policy, but gamblers can enjoy betting in the internet cafe – we highly recommend topbingowebsites.co.uk. The Welsh Rugby Union emphasises the duty of all players and Member Clubs to ensure that the game is conducted at every level in accordance with discipline and sporting behaviour. The club administers disciplinary procedures through an internal Disciplinary Committee which will convene if deemed necessary following a serious breach(s) of conduct as defined below. Be properly dressed for the game and training. Make a personal commitment to keep fit at all times. Never argue with the referee’s decision. Control your temper on the field of play, do not over react, and do not take unfair advantage of any player during matches or training. Work equally hard for self and team. Ignore comments from spectators and concentrate on own and teams performance. Cooperate with team mates, coaches and referee, without them there is no game. Accept discipline without question whether during a match or training. Never use foul and abusive language. Arrive on time and be prepared to learn and listen to directions given by the coaching team and team management at all times. Poor behaviour which disrupts training will not be tolerated. The purpose of training is to learn in an enjoyable environment, skills and rules of the game, not to waste yours and the time of others who are willing to learn and the coaches who give up their free time voluntarily. Strive to improve your performance through your own practice between training sessions. The coaches and team managers will administer a “three strikes and out” policy to a player(s) where their behaviour breaches this Code of conduct. This will involve two verbal warnings whereupon the third warning, the player will be asked to sit out training and may even miss the following club match. The decision will rest with the coaching team. Rugbywelsh.co.uk - Your Rugby Welsh RFC Site!